Rabbi Shmuel Braun is a teacher, mentor and lecturer, especially known for his ability to take the loftiest concepts in Jewish mysticism and connect them to everyday life in a way that students from any background and level of knowledge can appreciate. Having grown up Modern Orthodox in Woodmere, L.I., Rabbi Braun then spent many years studying at the Ner Israel Rabbinical College in Baltimore, in the Brisk Yeshiva in Jerusalem by Reb Meir Soloveitchik, and also in institutions affiliated with Yeshiva University, Munkatch, and Chabad. All this together with his devotion and passion for the humanities facilitated his developing a unique, progressive and inclusive style that engages all people with diverse backgrounds and beliefs. Rabbi Braun has been teaching over twenty years in various synagogues, yeshivas, seminaries, and other venues and has traveled the globe lecturing on topics of Jewish Philosophy, Law, and Mysticism for thousands of people. Today he is also actively engaged in building bridges between different faiths through his organization S.O.U.L (Seekers Of Unity & Love). 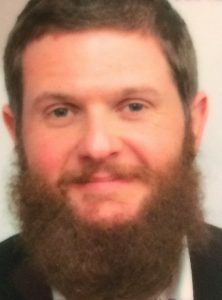 Besides continuing to lecture and teach, Rabbi Braun is researching and writing his forthcoming book on Kierkegaard’s Existentialism and Chassidic philosophy.